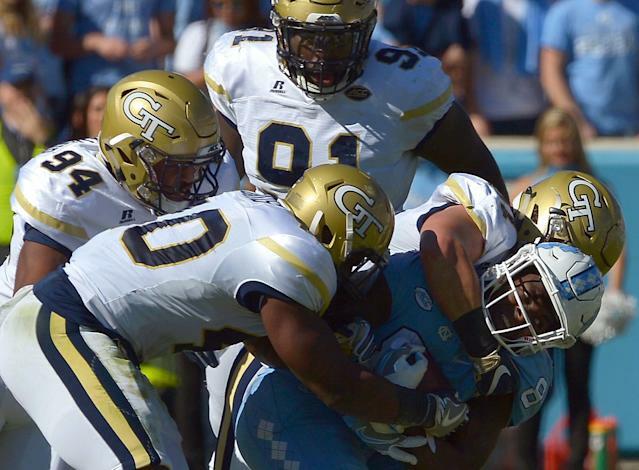 Georgia Tech announced on Sunday morning that 21-year-old defensive tackle and rising senior Brandon Adams has died. No cause of death was given. The Georgia Bureau of Investigation completed an autopsy on Monday, however the results were inconclusive, according to WSB-TV2 in Atlanta. More tests are scheduled this week to help determine the cause of death. Adams had been on the Georgia Tech football team for three seasons, and was coming off of a career year. In 2018, he played 13 game and had 24 tackles, five for a loss, and two forced fumbles. All were career highs. The Atlanta Journal-Constitution devoted a whole article to Adams on Saturday, the day before his death was announced, naming him as a player to watch on the 2019 team. Adams is already being mourned, with reporters, scouts, and fans posting messages to Twitter about his kind personality and gentle demeanor. Brandon Adams was one of the kindest and more enjoyable young men I've had the pleasure to be around. It breaks my heart learning about his untimely death this morning. Absolutely crushed. I can't imagine what his family, friends and teammates are going through. Prayers to all. So sad to hear the news about @uprising_MMXVI this morning. He was a beast on the field and a gentle giant off the field. He will definitely be missed. Please lift this family up in your prayers.